I’m really excited to be part of this fantastic event. I wrote a post for the Tedx website yet I haven’t share anything on my own blog so here I am publishing my thoughts and emotions about working along with all these folks. Working on different committees, having to pursue some projects on your own or sometimes working along with others has been such a rich learning experience. 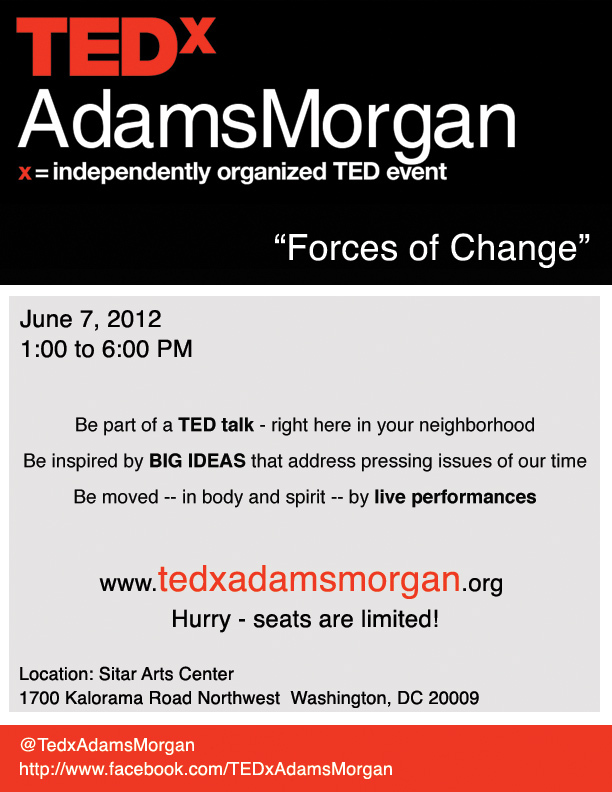 This is a flyer I designed for the event and I will really appreciate it if you share along with your connections, this is happening next week and it is big for Adams Morgan and for DC.